We are extremely honoured to have the enigmatic Sue Stone as our VIP Gala Dinner Speaker. From £10 left in her purse, depressed, desperate and full of fear to becoming totally at peace, happy, financially free and a TV Secret Millionaire, Sue has achieved an incredible life transformation. Sue now dedicates her life to helping others. 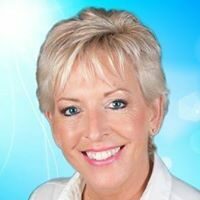 She is regularly in the media and thrives on helping others from all walks of life across the world with personal coaching, inspirational business mentoring and motivational speaking. Please feel free to read about Sue on her websites below or join her on social media.